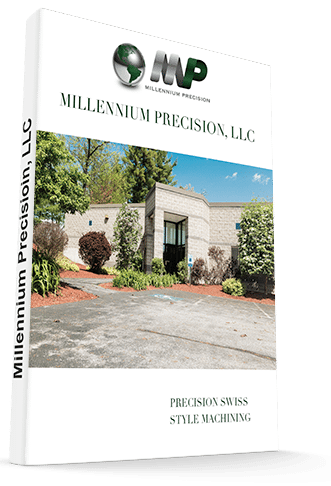 Through the use of our top-of-the-line, multi-axis, Swiss-style CNC lathes, we can provide you with industry custom machining tolerances of ±0.0001in. We understand that dimensional accuracy is critical to the aerospace industry, and we have the ability to deliver such accuracy at competitive pricing. Our capability to make complex geometric parts is a result of using our extensive capabilities and many axes of our Citizen Swiss lathes. Our aerospace machine shop has the resources to supply turnkey components requiring additional services such as heat treating, plating, grinding, polishing, and electroplating. Over the years we have built a strong network of suppliers in the industry that are always willing to support what our customer needs. Our supplier base is one of the best. Our products pass through a rigorous quality assurance process before exiting the door, so our customers know every product is within tolerance. Millennium is a dock to stock supplier for many of its customers.